Trump has been treading on a slipper slope since he took office, and now seems to be the most dramatic move involving banning Muslims or people from select countries from entering the US. I you are from one of the countries being banned, you should not leave the US. As it is likely you may not be able to get back home. Trump’s executive order is being challenged by the likes of the ACLU and countless attorneys across the nation. With many protests taking place, the largest at JFK and LAX, causing traffic jams and delays. Police in riot gear have to show up to keep the orders. Over 7000 protesters at LAX. In response to Trump’s ban, many companies including Starbucks, Google, Microsoft, Apple, have all responded to oppose the ban. Even actors are making statements at the SAG awards. Countries currently on the ban list, include Yemen, Sudan, Libya, Iraq, Iran, Syria, and Somalia. This is being called a temporary ban, until a so called process is created. Keep an eye Trump as he continues to sign orders which impact us all. Bistro Planet was one of the sponsors of TECHmunch LA conference held this past weekend at Cross Campus Santa Monica, with dozens of prominent food and media specialists. 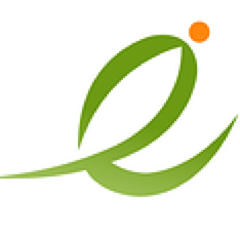 The experienced team at Bistro Planet is positioned to leverage a missed opportunity. The management/founder team includes Aleksey Klempner, Ramin Azizi, and Roie Edery. Bistro Planet is also hiring for a variety of positions, including customer service, UX, etc. See the openings here. Bistro Planet is The Food Truck App: see gourmet food trucks close by, order ahead, skip the lines and enjoy. So click on this link to claim $15 off your first 3 orders. If you download the app, use the promo code 626food to save $15 off your first 3 orders. Bistro Planet offers an app which allows you to make purchases from food trucks that are local to you, and not have to wait in line, which is usually one of the challenges with food trucks, is the wait. Because orders are prepared as they are received Bistro Planet the process is much smoother. Some quick facts about the food truck industry. Home Depot Group has purchased the property previously owned by Avon in Pasadena. Does this mean we should expect to see Home Depot opening in Pasadena. It could happen sooner than most think. Expect that after meetings that there will be a big push by the new owners and investors to get mixed use development with retail and condo, apartments. This morning I heard from Pasadena staff that the Avon property has closed escrow with the Home Depot group. From this point forward there will be around a dozen city meetings for the planning process, so please be involved and express your concerns at these meetings. Your input is very important. Join us at the 15th Annual SCALE conference. With over 200 sessions and events this year, how can you pass up this an exciting weekend of Open Source and Free Software awesomeness. Want to help make SCALE amazing this year? Volunteer by emailing us ([email protected]), if your open source project or non-profit organization is interested in being involved with SCALE contact us at [email protected], or sponsor us by reaching out via [email protected].org! Registration for SCALE 15x is now open — be the first in your neighborhood to register for the largest open-source event in North America. We will be returning to the Pasadena Convention Center March 2-5, 2017. The Full Access Pass, which provides access to all SCALE sessions, is $75. The Expo Only Ticket, providing access to exhibit hall only, is $20. The exhibit halls for SCALE 15x are open Friday, Saturday and Sunday. Special hotel rates and room blocks are available at the Sheraton Pasadena and Hilton Pasadena. Obama will leave office Jan. 20 when Donald Trump is inaugurated as the 45th president. He gave a final address to the nation on Jan. 10. Throughout these eight years, you have been the source of goodness, resilience, and hope from which I’ve pulled strength. I’ve seen neighbors and communities take care of each other during the worst economic crisis of our lifetimes. I have mourned with grieving families searching for answers – and found grace in a Charleston church. All of us, regardless of party, should throw ourselves into that work – the joyous work of citizenship. Not just when there’s an election, not just when our own narrow interest is at stake, but over the full span of a lifetime. Step 1: Did you buy dairy products from 2003 to the present in one of these states during at least part of 2003 to the present: Arizona, California, the District of Columbia, Kansas, Massachusetts, Michigan, Missouri, Nebraska, Nevada, New Hampshire, Oregon, South Dakota, Tennessee, Vermont, West Virginia, or Wisconsin. To be eligible for benefits from this class action settlement, you must have purchased the milk products from a grocery store or other retailer, not directly from one of the defendants. The products must not have been purchased for resale. No proof of purchase is necessary. Click here to submit your claim. Looming over the San Gabriel Valley, Mt. Lowe is familiar to everyone in the area. And that’s why the Mt. Lowe Brewing Co. founders chose it as their namesake. They wanted their craft brewhouse to be warm and inviting and to inspire people to visit. Thus the name and the railroad theme, which actually ties back to the mountain’s history. Stop by for a beer and learn even more. Bungalow Blonde: a light and refreshing ale gently hopped and fermented using Kolsh yeast. Honeyngton Hef: an American wheat beer with pure honey. Medium-light body with a dry, crisp finish and delicate floral note. The Hills Have IPA: Strongly hopped, with spicy tones. Bold and malty with a bitter, clean finish. Incline Ale: Clean, firmly hoppy, and drinkably bitter. Rubio Red: Deep red color and tan head over a caramel-like malt character with roasty and fruity notes. Inspiration Porter: Classic dark porter aged on toasted coconut finishes with coconut and vanilla aftertaste. Donald Trump calls these reports fake news. We will see once there is evidence released, what trump has to say about the report. Loveland, CO (Jan. 12, 2017) — Early bird tickets for NoCo Hemp Expo 2017 are on sale through January 27th. Industry experts from around the globe will be in attendance, and thousands of burgeoning entrepreneurs, investors, innovators, farmers, and consumers alike, will descend upon the Loveland location to join the hemp revolution currently underway in the USA. The NoCo Hemp Expo Hall will be filled with exhibitors and sponsors showcasing a wide array of products, services, technology, and equipment that is set to open up a multi-billion dollar domestic industry in the next three to five years. Products include textiles and apparel, building materials, super foods, bodycare, personal wellness and health supplements, bio-plastics and composites, paper and specialty board products, nano-tech fiber technologies, extraction and processing equipment, and much more. This is where you will learn everything you need to learn about the non-psychoactive side of the cannabis plant. This is where you will learn that hemp is not marijuana. The 2014 Farm Bill language reaffirms and expands the 2004 Ninth Circuit Court’s ruling on imported industrial hemp in HIA vs. DEA that protects naturally occurring cannabinoids, including delta-9 tetrahydrocannabinol concentration not more than 0.3 percent on a dry weight basis. In the coming weeks, Congressman Jared Polis of Colorado and Congressman James Comer of Kentucky will reintroduce the Industrial Hemp Farming Act which would completely remove Industrial Hemp from the Controlled Substances Act. “The federal ban on hemp has been a waste of taxpayer dollars that ignores science, suppresses innovation, and subverts the will of states that have chosen to incorporate this versatile crop into their economies,” said Representative Polis. The NoCo Hemp Expo enters its fourth year at The Ranch Events Complex on March 31 and April 1, 2017, in Loveland, Colorado. The expo has grown from just over 300 attendees in 2014 to more than 3,000 in 2016. Attendance is expected to exceed 4,000 in 2017. These numbers reflect growth nationally in market interest and production of industrial hemp. Roughly 200 acres planted in various states in 2014 grew to more than 10,000 acres planted in 2016, with an additional 2 million+ square feet of indoor greenhouse space growing high cannabinoid, non-psychoactive hemp targeted for the health and wellness sectors of industry. More than 30 states have passed hemp legislation that effectively nullifies the outdated and incorrect inclusion of industrial hemp within the Controlled Substances Act. WAFBA LLC (We Are For Better Alternatives) is home to the NoCo Hemp Expo, TreeFreeHemp and Colorado Hemp Company, located in Loveland, Colorado and operating since 2012. Areas of focus include product and brand development, marketing, printing, production, events and advocacy. Learn more at NocoHempExpo.com, and find us on Facebook and Twitter. The sixth annual Cheeseburger Week Celebration in Pasadena is January 8-13. Enjoy the following participating South Lake restaurants: The Counter, Del Frisco’s Grille, Du-par’s Restaurant and Bakery, Green Street Restaurant, Perry’s at the dusitD2 Hotel Constance Pasadena, Pie ‘n Burger, Real Food Daily, SECO New American, Smitty’s Grill. For more information, please visit Cheeseburger Week 2017. With the news that Ralphs is closing and ALDI opening, there is another reason to be excited, Elements Natural Foods posted to Instagram that they are coming to Altadena! Comments revealed that they hope to be open by May. They’ll be taking up residency next to Rite-Aid. Receive exclusive promotions, discounts, early registration for events, and invitations exclusive for members only! Elements looks like it will fill a void left by the Arroyo Co-op. We can probably expect similar hours for the Altadena location. U2 will be coming to the Rose Bowl on Saturday, May 20, 2017 with special guest The Lumineers. The show was announced as part of their Joshua Tree tour, celebrating the 30th anniversary of the band’s 5th studio album. Tickets go on sale Tuesday, January 17th at 10am via Livenation.com. The band posted a video on Christmas Day promising a “big year for the U2 group” with the release of Songs of Experience (the follow-up to 2014’s Songs of Innocence), as well as some “very special” Joshua Tree shows. Those shows will take the band through North America and Europe, including their first-ever US festival performance at Bonnaroo. Early this morning we received notice of a shooting in nearby Council District 3 (represented by Councilmember John J. Kennedy) that involved four victims, two of which were fatal and one which remains in critical condition. It is likely this incident is gang-related. As many of you know, I have previously called on the City Council to increase staffing at the police department and I ask you to join me in renewing that demand. I also am asking the Police Chief to increase patrols by utilizing overtime. Our office will be in direct contact with the Police Chief and his department and I will distribute information to you as it becomes available. While the shooting did not occur in District 5, this is a reminder of the need to redouble our efforts to ensure our police department is properly staffed and that we are providing community violence prevention programs and resources in order to ensure safety and security in our city. Please call me if you have any questions. I can be reached directly at (626) 664-9656. On Saturday, January 6 at about 11:53 P.M., Pasadena Police Officers responded to a call of a shooting in the 100 Block of W. Claremont St. Officers located the scene of the shooting and a 23 year old man was found lifeless in the 70 block Pepper St. Within minutes paramedics at Fire Station 36 (1140 N. Fair Oaks Ave) reported that they were treating a second gunshot victim at the station, a 38 year old woman. She was taken to a local area hospital in critical condition. At the same time, a single vehicle collision occurred at the intersection of California Blvd., and St. John Ave. Officers responded and discovered two additional gunshot victims at the scene of the collision. The third victim, a 23 year old man, was lifeless in the car suffering from an apparent gunshot wound. The fourth victim, another man who was also a passenger in this vehicle, had sustained a non-life threatening gunshot wound and was transported to a local area hospital. Apparently financial issues and difficulties with the property owner. Next door Aldi is opening in soon. Aldi is actually having an employment. Raises every six months, guaranteed! Paid vacation and 401(k), with matching contributions. Be able to lift 45 lbs. Tickets are timed and sold in advance. 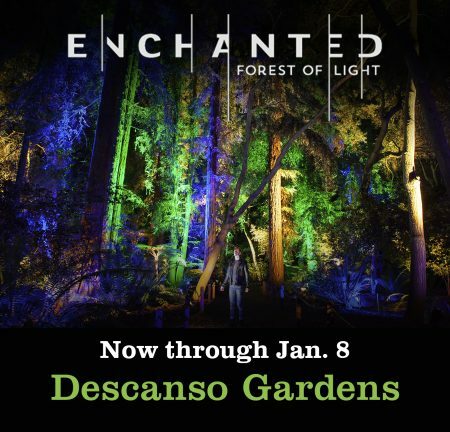 Enchanted: Forest of Light is an interactive, nighttime experience unlike anything else in Los Angeles, featuring a one-mile walk through 8 distinct lighting displays in some of the most beloved areas of Descanso Gardens. Tickets are timed and must be purchased in advance. Due to high demand, the following days and times are reserved for Descanso Gardens members. Want to become a member? Click here to learn more. Enchanted: Forest of Light is a rain or shine event. Tickets are not refundable. Beginning Wednesday, Jan. 4, all Enchanted ticket sales are final and we are unable to accommodate ticket rescheduling requests. Ticket purchases and Descanso Gardens membership dues are not refundable. Sunday, January 8, is the last Enchanted event. Please see our FAQs below for further details. Questions about your Enchanted: Forest of Light tickets? Email us at [email protected] or call us at (818) 952-4390. The beer brewing scene in Burbank and Glendale areas has been increasing, there is a new addition to Burbank as the first brewery with a tap room to open in Burbank, Lincoln Beer Company, a new tap room is being built and set to open this Spring(Spring of 2017). The location is near the Burbank Airport, or as the new name Hollywood Burbank Airport. Patrick Dunn & Ryan Lipson are the owners and brewmasters. They moved into the 8,000 sq ft location in 2015 and a couple years later are now set to open a tap room. We welcome more breweries into the area with increased consumption of beer we should see more microbreweries opening in the Burbank Glendale and surrounding areas. Pasadena would be a great location for breweries but apparently the city zoning code does not allow or makes it very difficult to open a brewery with tap rooms at this time, although there are moves to change that. Lincoln Beer Company has six beers currently being brewed, but expect more to be added. The current offers are Muffin Grass (Pale), Honeysuckle (Session Ale), Something Simple (Cream Ale), Candy Fields (IPA), Winter Fiesta (Red Ale), and Triple C (Imperial Cream Stout). A great lineup of beers.